Happy New Year everyone! We hope everyone had a safe and enjoyable holiday. We know we did with all the great sporting events going on. The team at Fan Victor have been working hard over the holidays and are excited about what the team is bringing into the market for 2017. 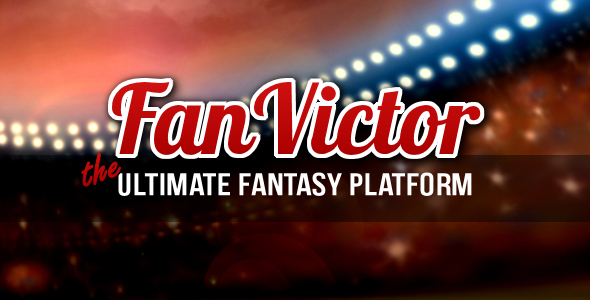 For those of you who don’t know what Fan Victor is, Fan Victor is a leading White Label Fantasy Sports platform. It can integrate with WordPress as a normal WordPress Plug-in or as a stand alone application. Fan Victor software has all the industry standard features plus way more! We’ve innovated many features and options not available on many other Daily Fantasy Sports Sites. How much does it cost? As low as $297 one time fee! Additionally, you can completely automate the entire system with Fan Victor Data Feeds starting from $147 a month per sport. Fan Victor has added even more great functionality and sports! 2016 was a great year for Fan Victor, it grew by 25% and demand for Fantasy Game Play has never been stronger. With a product and service like Fan Victor, it makes it easy to build a Fantasy Sports Hub. A native iOS App has been developed to complement the native Android App. White label your Fantasy Sports App today. Custom game types based on sports have been added as well. Such as Motor Cross - with a custom game play mode called Super Motor Cross! Rugby and year long season game play has also been added. Translations into other languages are also supported. The WordPress plug-in has been completely translated into French. Other languages are coming this year. New payment gateways have also been added - Priority Payments, Flutter Wave to complement the existing PayPal and PayPal Pro gateways. Fan Victor Fantasy Sports has expanded into Europe and Africa with a presence now in Greece, Germany, Ghana and Nigeria. Major enhancements for Golf have also been added - 2 new game types added: Best 5 and a Golf Skins game. Fan Victor's own Mixed Sports capabilities have been enhanced as well - Mixed Sports allows you to mix sports for daily and weekly player drafts. Get your Fantasy Sports site set up and start marketing ASAP! Now is the best time to get in on Fan Victor. All updates are ALWAYS free!